In 2008, the town of Durnstein counted only 911 inhabitants. Meanwhile this number has increased, but not very much. 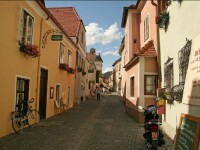 However, each year thousands of tourists visit Durnstein attracted mainly by its attractions. 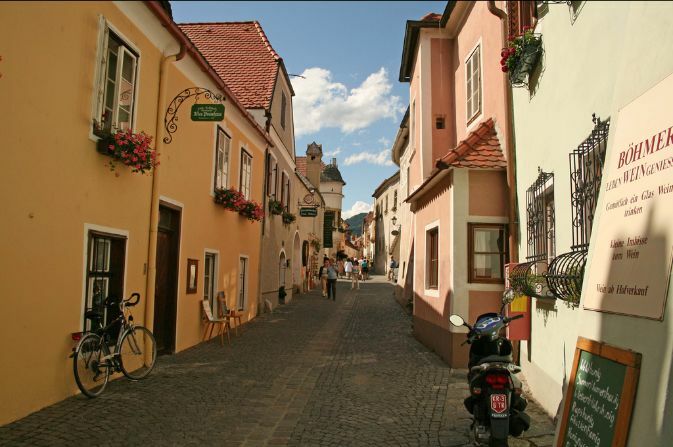 The city is situated on the Danube, in southern Austria, in the region of Wachau, the district of Krems –Land. It is a vineyard region, being largely covered by forests, which our tourist guide to Durnstein recommends everyone who is looking for relaxation. The city has a beautiful natural surrounding, untouched by civilization, interwoven with a varied flora and fauna. To the town of Durnstein belong Oberloiben, Dürnsteiner and Unterloiben. The town itself has only two districts: Rothenhof and Dürnsteiner Waldhütten, enough to accommodate the small community spanning on 16.81 km2. The city of Durnstein is one of the most popular tourist destinations in Austria and this is mainly because of the Wachau Castle of a scenic beauty and a unique architecture. You can also visit Pin Durnstein, witch is an amazing blue tower, the Cunegonde church, first mentioned in 1289 and of which only remained the tower, the City Hall, Fort Clarissinnenkirche, founded also in the year 1289, and the famous Cellars. In Loiben you can visit the parish church of St Quinn and the War Memorial. 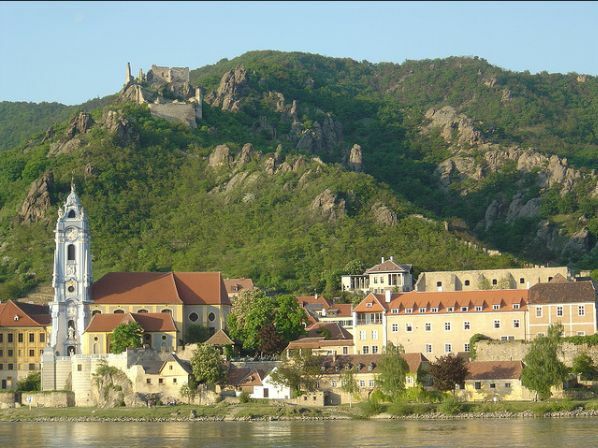 The town of Durnstein is also famous for its wine, that is named after Castle Wachau. 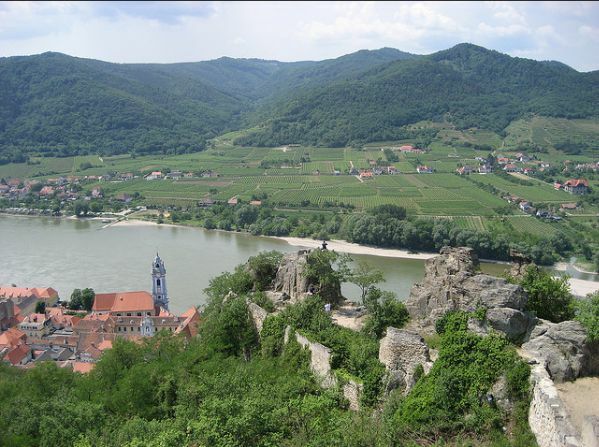 The region of Wachau has its own wineries located just below the castle walls. 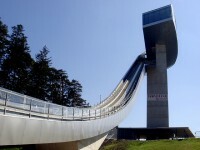 Those who have visited the tourist attactions of Durnstein and tasted the local delicacies, can relax in Kuenringerbad, a sports complex offering sauna and swimming pool at affordable prices. Sports fans will find many opportunities including the sports clubs of the city. Of these, we recommend you Club Dürnstein, Kuenringer, Inline Hockey Club Dürnstein or the Wachau rowing club. 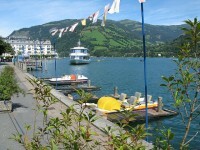 The day can be completed in one of the hostels in Durnstein. Among the personalities that were born in the town of Durnstein we mention: Blondel de Nesle, Hadmar I of Kuenring, Hadmar II of Kuenring, Ranzoni Hans the Elder, Johann Heinrich Freiherr von Schmidt, Emil Strecker, Maximilian Suppantschitsch and Carl Vaugoin. Our tourist guide to Durnstein also recommends you to visit the Blondelsage of the city, the pavilion that bearing over the years the story of King Richard the Lionheart, dedicated exclusively to the famous English military leader, whose story is brought to the region by Blondel de Nesle.